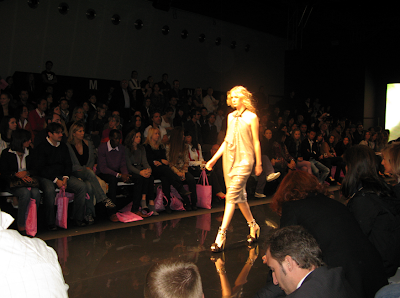 I kind of can't believe that the official FMC center (fashion show venue in Milan) is so far away. I took the subway crosstown then walked for 20 minutes through a v industrial part of town, hardly anyone around, to get to the Kira Plastinina show. It was very Kimora meets JLo. Ja Kira indeed.